For any extra pickup or drop off points within Brighton and Hove, there is a set charge of £5.00 per address. 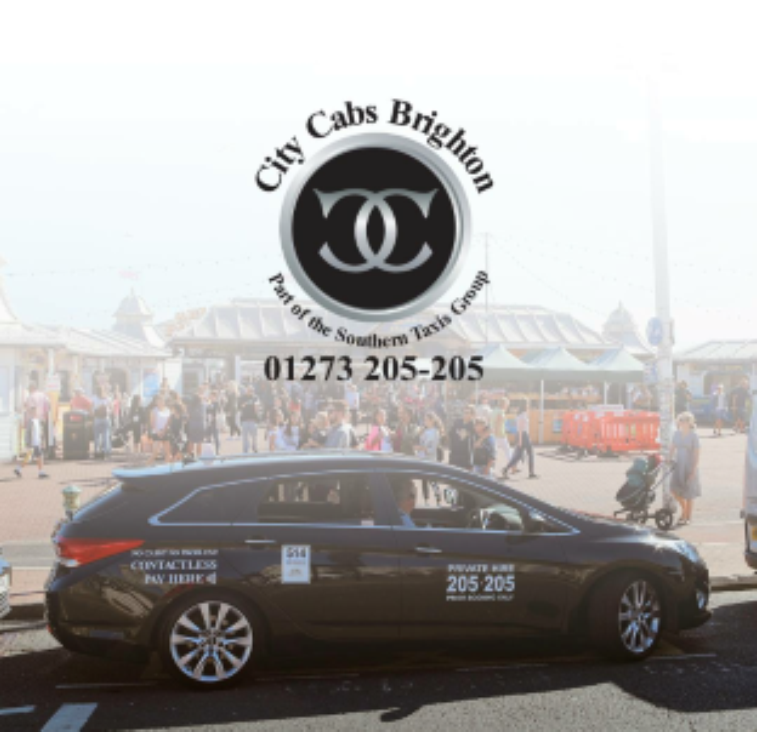 City Cabs Brighton offer a wide range of airport/ seaports and train transfers. Whether arriving to Brighton and Hove for an important business meeting or departing for an eagerly anticipated holiday, we will ensure your airport transfer to and from Brighton & Hove is effortless and efficient, whether its Brighton to Gatwick, Heathrow or any UK major Airport. Call 01273 205205 to book your Brighton airport taxi today. The £10.00 extra covers 30 minutes waiting time and car parking for the driver from 30 minutes after your plane has landed. If you have priority booking, or you think you will be coming through quicker than 30 minutes due to only having hand luggage, please let us know at the time of booking so we can inform your driver about this.